Two significant questions remain unanswered: What caused the crack and what ignited the gas? Flames shot through cracks in the road near the Oakland Zoo Tuesday morning, Dec. 10, 2013, after a 4-inch natural gas pipeline erupted and burned for more than three hours. It sent flames through the pavement of a street in the Oakland Hills, and it sent concerned neighbors running door-to-door afraid they were witnessing another San Bruno-like fire. Flames shot through cracks in the road near the Oakland Zoo Tuesday morning after a 4-inch natural gas pipeline erupted and burned for more than three hours. Oakland firefighters and a hazmat team raced to the fire, first reported about 8:30 a.m. Tuesday, at Golf Links Road and Fontaine Street off Interstate 580 near Holy Redeemer College and the Oakland Zoo. 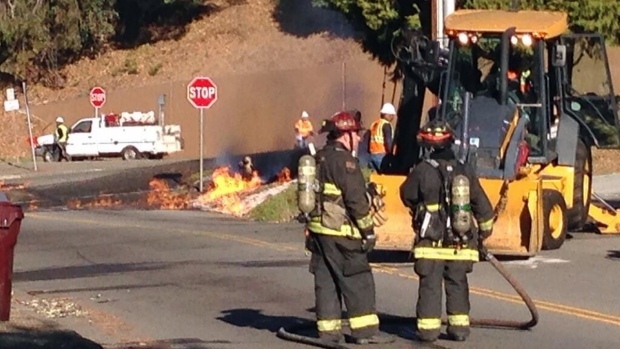 Flames shot through cracks in the road near the Oakland Zoo Tuesday morning after a 4-inch natural gas pipeline erupted and caught fire for hours. Jean Elle reports. 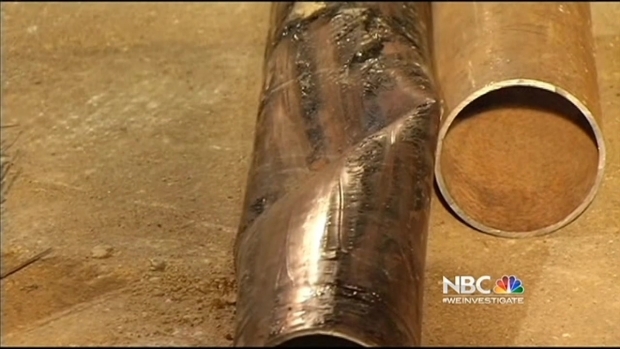 PG&E crews discovered the source of the leak in the elbow of a 4-inch diameter steel pipe. Now, two significant questions remain unanswered: What caused the crack and what ignited the gas? The ignition source, the cause of the crack in the pipe and exactly what happened are now the focus of an investigation by PG&E and the California Public Utilities Commission. The section of pipe that failed will be tested Thursday. PG&E has hired a third party to inspect that pipe and lead the investigation. Members of the public utilities commission's Safety and Enforcement Division are also investigating. According to the utility, this portion of the Oakland Hills had its last leak survey in April 2012. There were no leaks found at that time and no leaks reported recently. PG&E expects results from the investigation in two-to-three weeks. That investigation will be a review of leak survey records, customer complaints and a history of that portion of PG&E's pipeline. 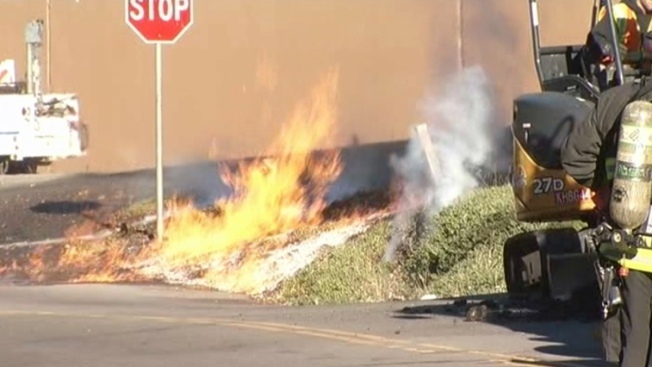 Flames shot through cracks in the road near the Oakland Zoo Tuesday morning after a 4-inch natural gas pipe erupted and caught fire for hours. Cheryl Hurd reports. Nineteen customers were affected by Tuesday morning’s incident. Since then, nine have been reconnected to the main pipeline, and the other 10 are being fed natural gas brought in on a trailer, according to PG&E. The utility hopes to have normal service restored to those 10 customers by Thursday.